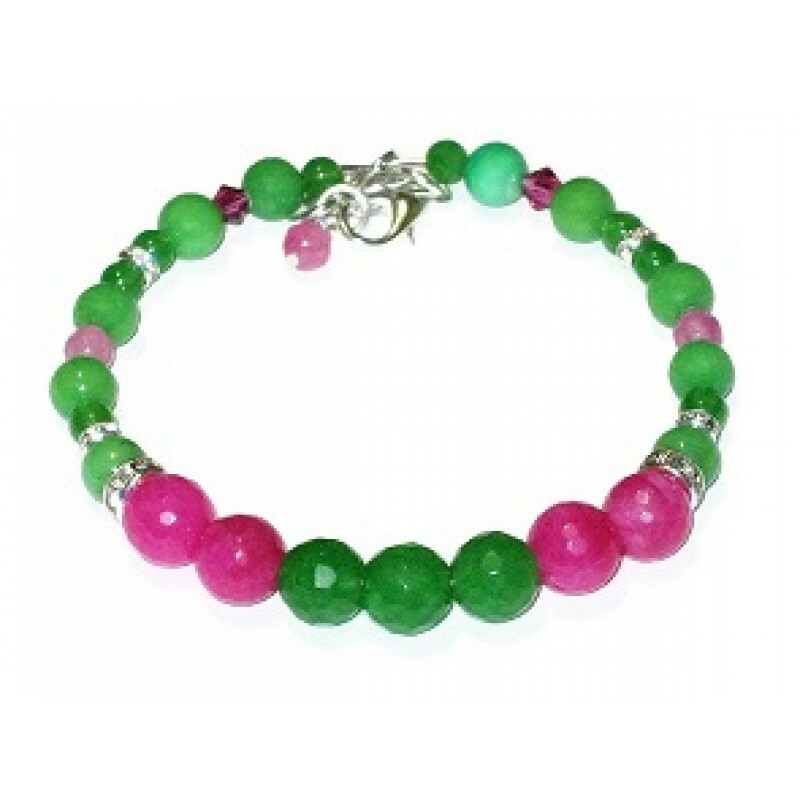 Complement your dress with a little extra sparkle and glamour with this green and pink faceted and smooth jade beaded bracelet which is accented with Swarovski crystals. It can be extended from 6 1/2 to 7 1/2 inches using the extender that’s on it. The bracelet is made on expandable wire to allow a more comfortable fit. Add a pop of color with these green dangle earrings. They consist of freshwater pearls, Swarovski cr..